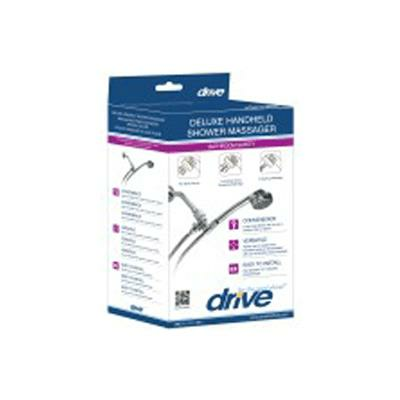 Drive Deluxe Handheld Shower Massager With Three Massaging Options comes with a chrome shower arm mount and extra-long 84 inch chrome or mylar reinforced tangle free hose that provides extra convenience. 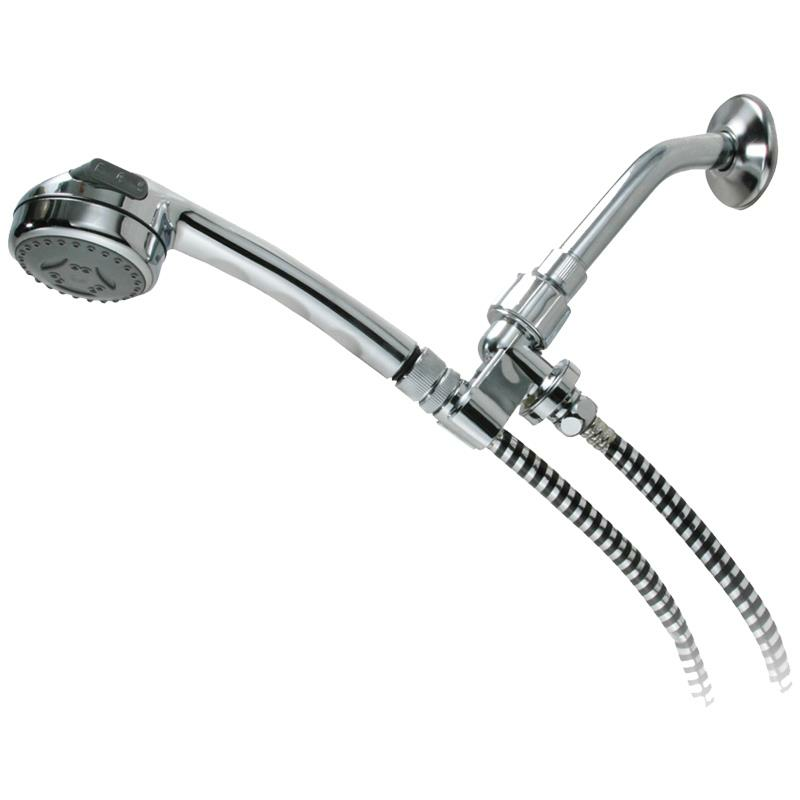 It has an adjustable massaging head and can be used as a handheld shower spray or mounted as a traditional showerhead. 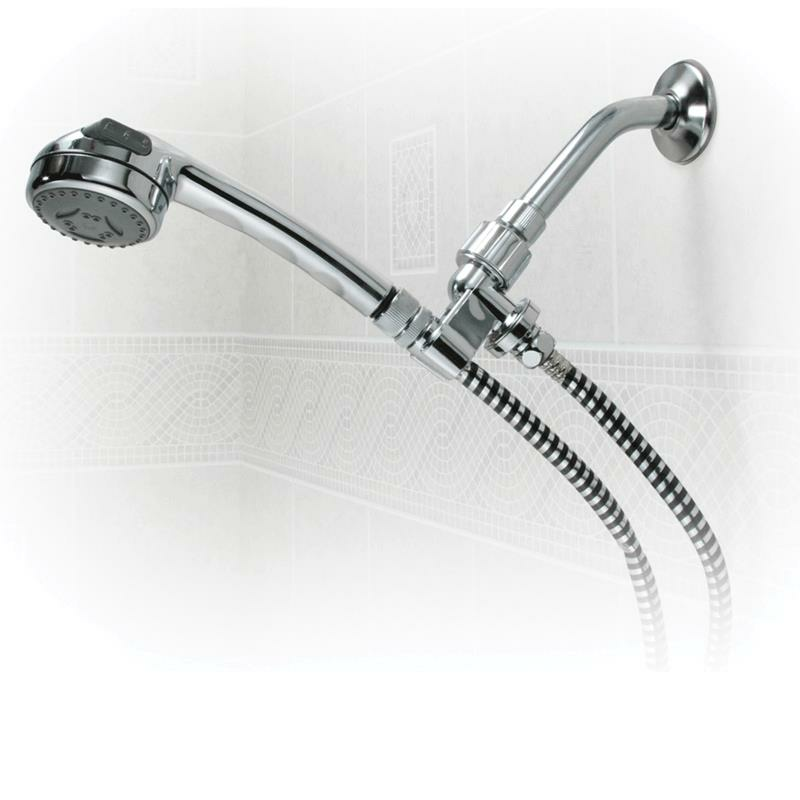 It is useful when shower, chair, bench or stool is being used.